JL Audio’s HO110-W6v3 patented High Output Enclosures are designed to deliver the ultimate high-performance bass experience with a rare combination of superb sound quality and awesome output. 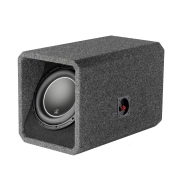 In the HO110-W6v3, the high power handling of the 10W6v3 subwoofer driver, combined with its small enclosure requirements, results in a very compact subwoofer system that is capable of impressive output with moderate amplification. JL Audio’s patented, chamber-coupled port design (U.S. patent #6,625,292) wraps around the inner enclosure boundary and terminates just above the woofer, coupling the port output to the woofer’s direct output. This also provides the necessary surface area and port length to maximize the performance of the W6v3 driver. 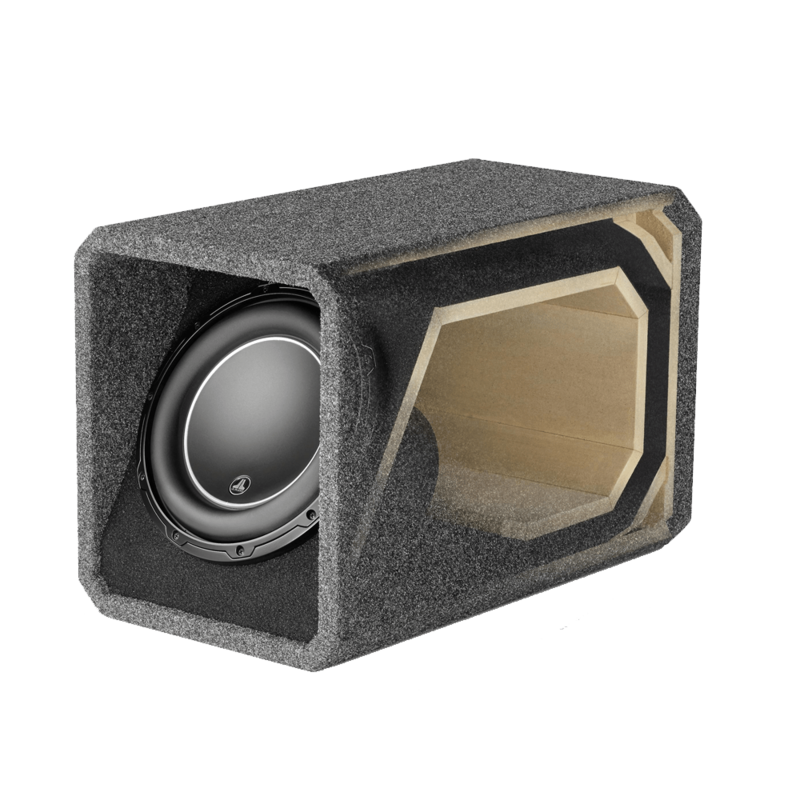 This enclosure design has been carefully engineered to the optimum ported alignment for the 10W6v3, and has been fine-tuned through extensive real-world listening. The “H.O.” in JL Audio’s H.O. 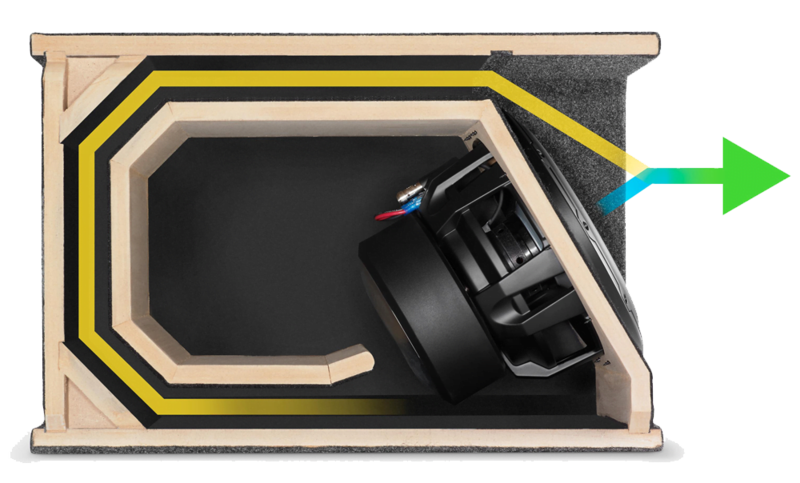 Wedge enclosed subwoofer systems stands for “High Output,” and that’s exactly what you’ll hear and feel. 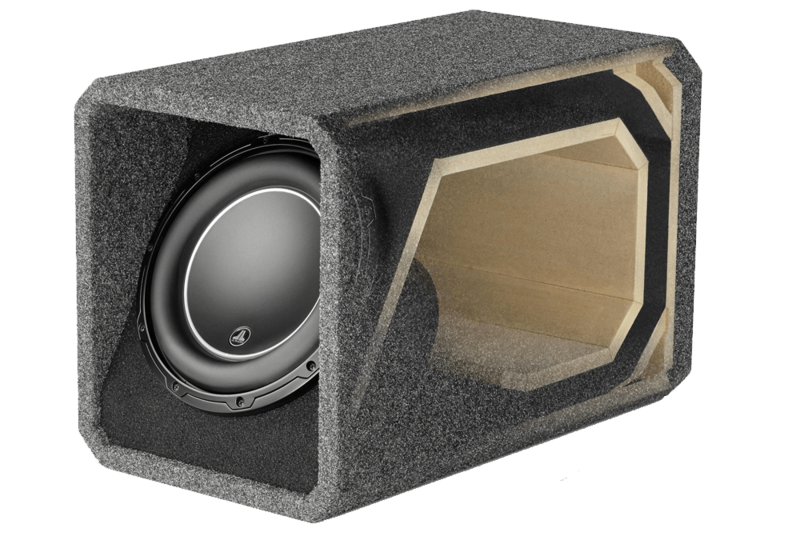 High Output Wedges deliver efficient, accurate bass, with better sound quality than conventional ported and bandpass boxes. 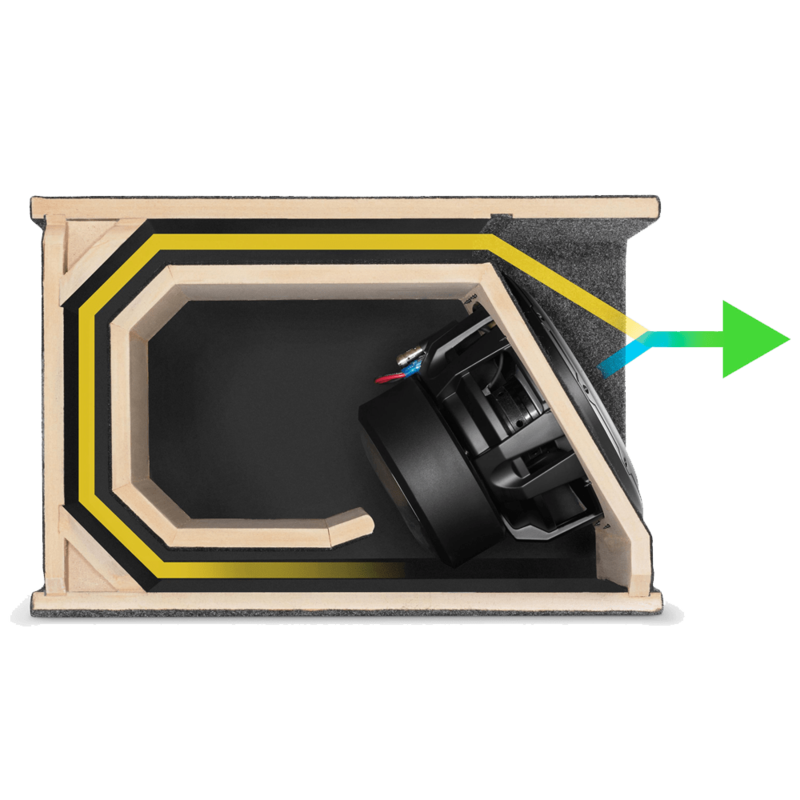 The woofer sits in recessed baffle, part of a separate chamber within the enclosure, and the front-firing port output combines with woofer output for extremely efficient performance. 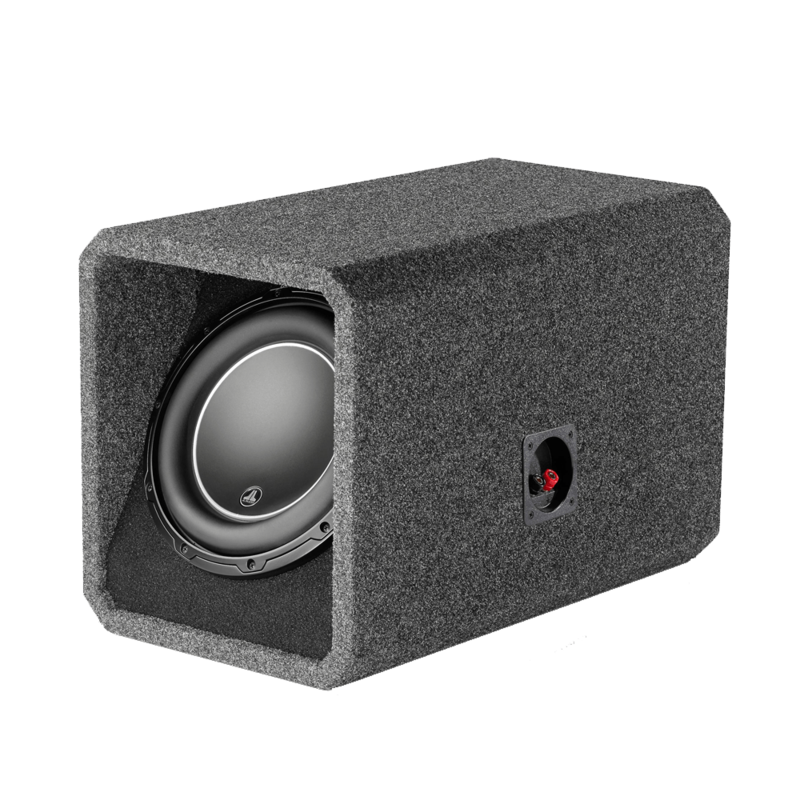 This HO110-W6v3 enclosure hosts a powerful 10″ W6v3 subwoofer, and its 2-ohm impedance makes it a great match for a powerful mono amplifier. 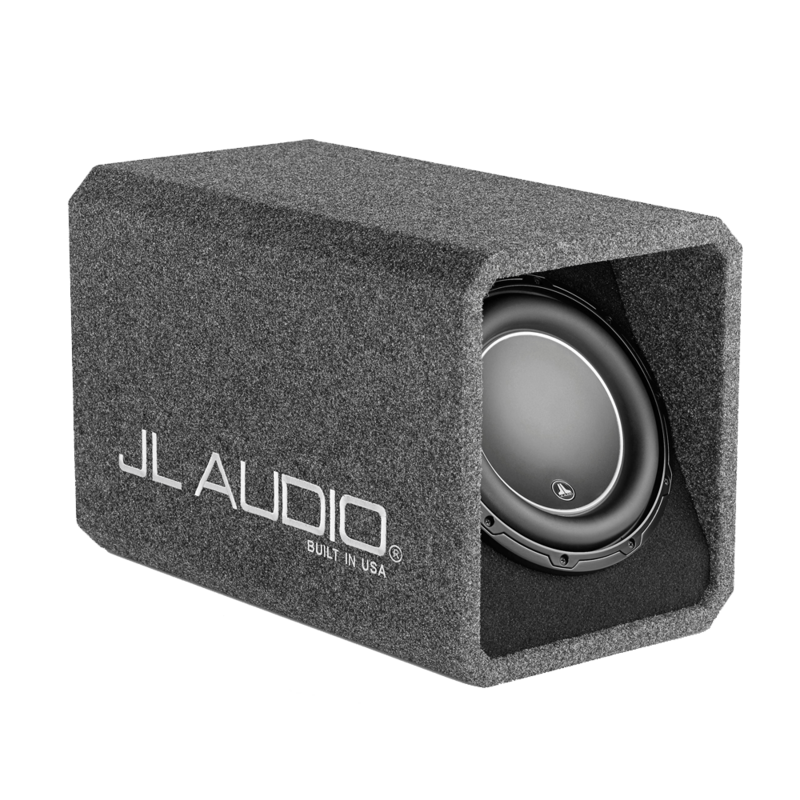 JL Audio designed the enclosure as a perfect mate for the sub so you can count on maximum performance. JL Audio employs advanced woodcutting machinery to fabricate these enclosures, which are finished by hand at their facility in Florida. 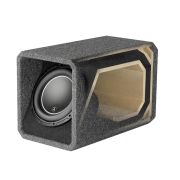 The compact design saves precious cargo space, while strong internal bracing and the recessed 1″ thick mounting baffle maintain the enclosure’s integrity and protect the sub.